Looking for the ideal way to express yourself? Ever dreamed of becoming a famous producer? 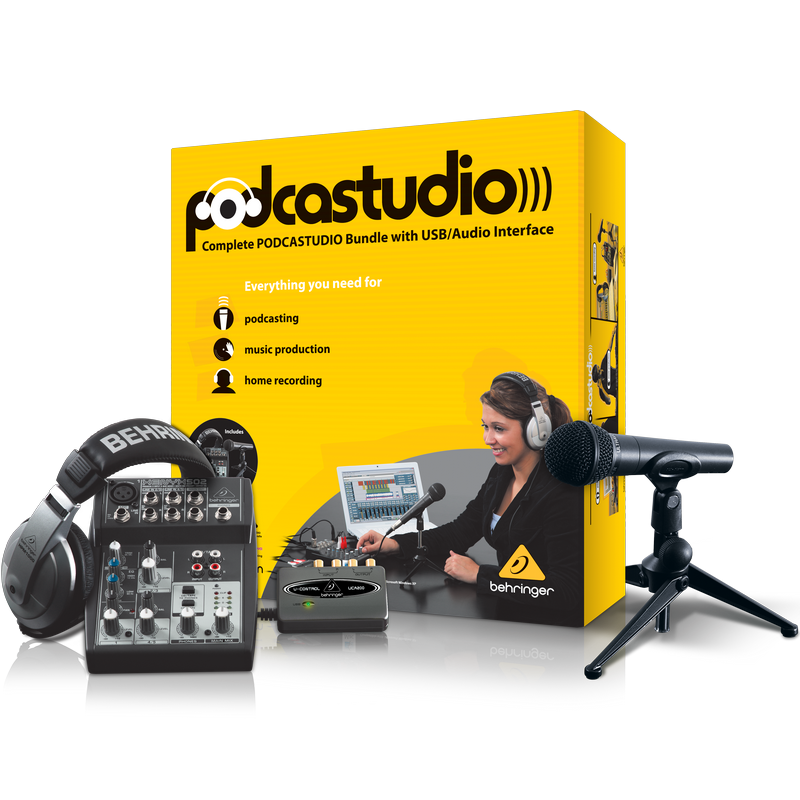 Then podcasting is the answer and the PODCASTUDIO USB bundle has everything you need to make high-quality podcasts, produce your own music and home recordings – plus it works seamlessly with your PC or Mac* computer! 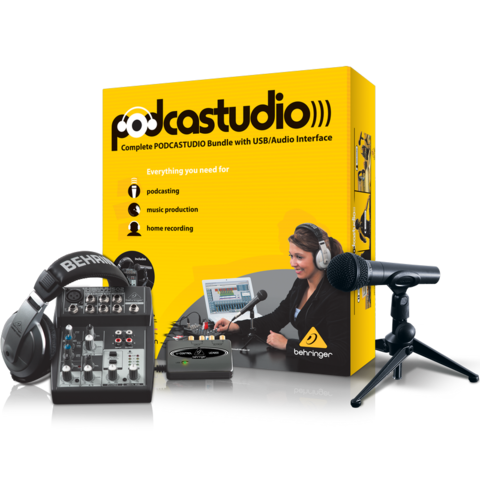 We even provide all the software you’ll need, a USB/Audio Interface, mixer, headphones and much more – you’ll be up and running in mere moments, right out-of-the-box! No matter what your audio mixing needs, the XENYX 502 provides the performance and features that can take your talent to the next level. 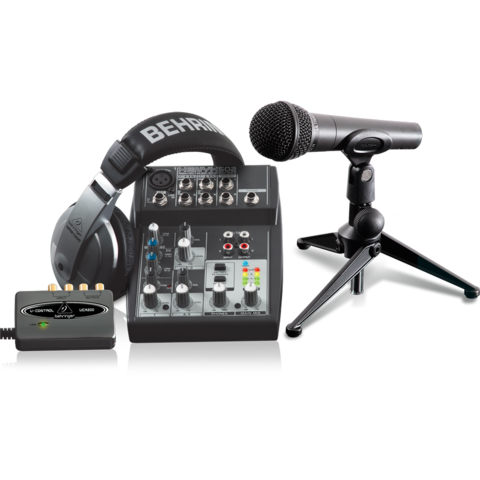 Professional sound quality, our legendary XENYX mic preamps, British-style EQs and rugged reliability make BEHRINGER XENYX 502 ideal for both your live gigs and recording sessions. The U-CONTROL UCA222 allows you to connect instruments and other audio devices to your computer, effectively merging the analog and digital worlds. It accomplishes this via 2 analog mono Inputs and Outputs (for monitoring), USB connectivity – and an additional S/PDIF optical output. The stereo headphone output features a dedicated level control and lets you listen to both the input and output. The ULTRAVOICE XM8500 dynamic microphone is a performing or home recording enthusiast’s dream come true! 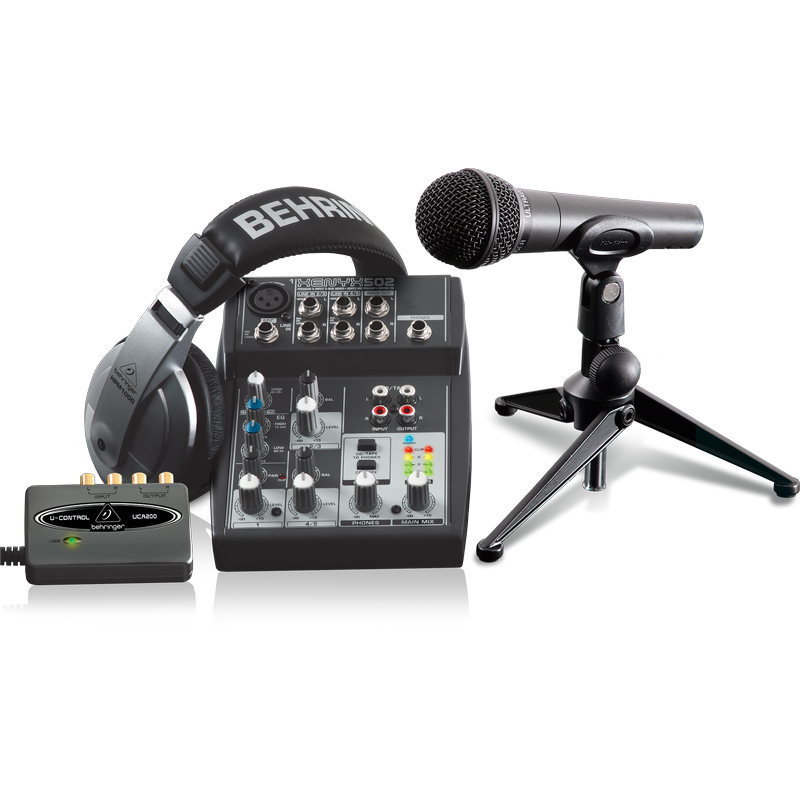 This professional-quality microphone is designed to capture your sounds with outstanding sensitivity and accuracy. With a cardiod pickup pattern for excellent sound source separation and feedback rejection, this ultra-wide frequency response mic is an excellent choice for any performing or recording scenario – and it’s rugged enough to go the distance! With its integrated shock mount system, mic stand adapter, spherical wind and pop filter, all in an impact-resistant carrying case – the XM8500 just may be the only microphone you will ever need.